TRANSI(EN)T MANILA: Activated Spaces Activate! Project Glocal's theme for Transi(en)t Manila is making art with technology in heritage spaces. And there's nothing more appropriate that making things happen in Manila's Queen of Streets, Escolta. 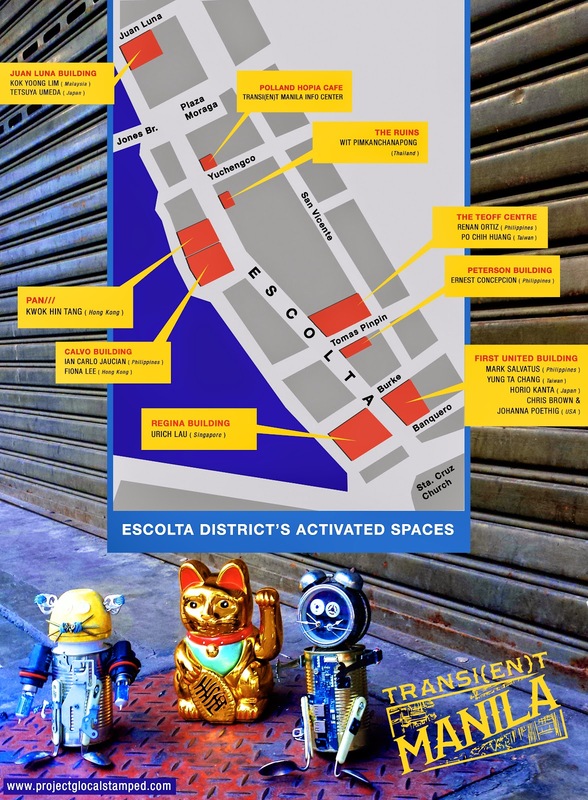 So for the duration of the program, most of the installations, talks and activities can be found in the buildings just up and down Escolta district. Check out the map to find out where the artist, art work or other art related activities are. Everything in Escolta is just a hop, skip and jump away from each other. Bonus tip: If you get tired from walking, you can stop by and have some ice cream to cool you down from all the skipping, hopping and the amazing, amazing art.